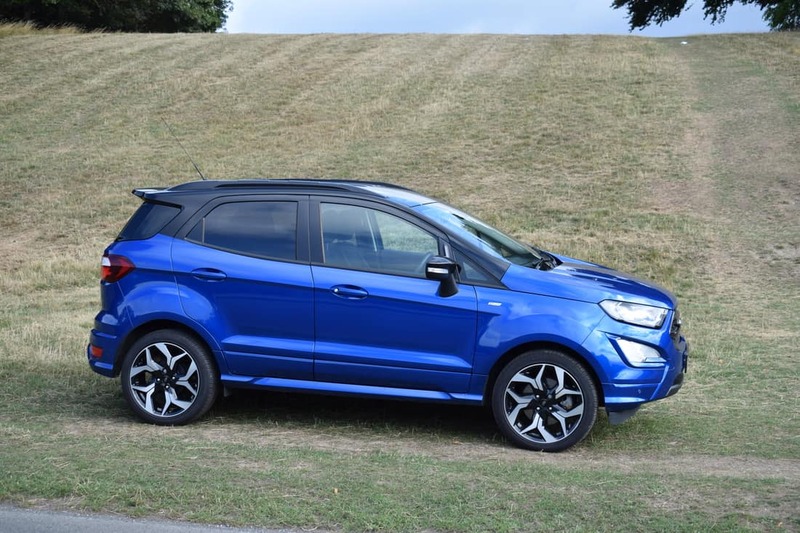 Ford’s Impressive New EcoSport ST-Line. Ford has radically revamped its dynamic EcoSport mini-SUV in order to keep it fresh in the face of strong competition. The result is a dramatically different car in terms of driving dynamics, interior & exterior design and improved infotainment. 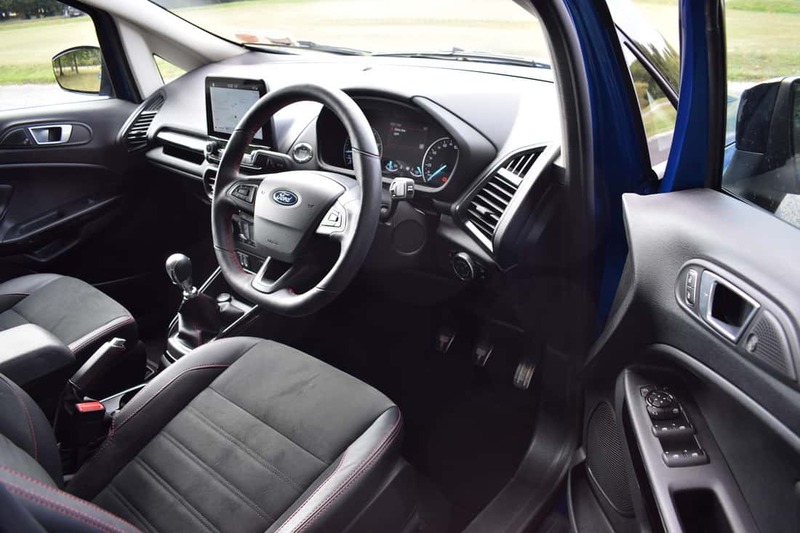 The uninspiring interior of the previous model has been resigned to the history books, replaced with an interior much more along the lines of the stunning new Fiesta. The EcoSport is based on Ford’s global ‘B-car’ small platform, the same architecture that underpins the highly acclaimed new Fiesta. With the all-new Fiesta being one of the best supermini’s, (if not, the best) on the planet, this bodes very well for the new Ford EcoSport. 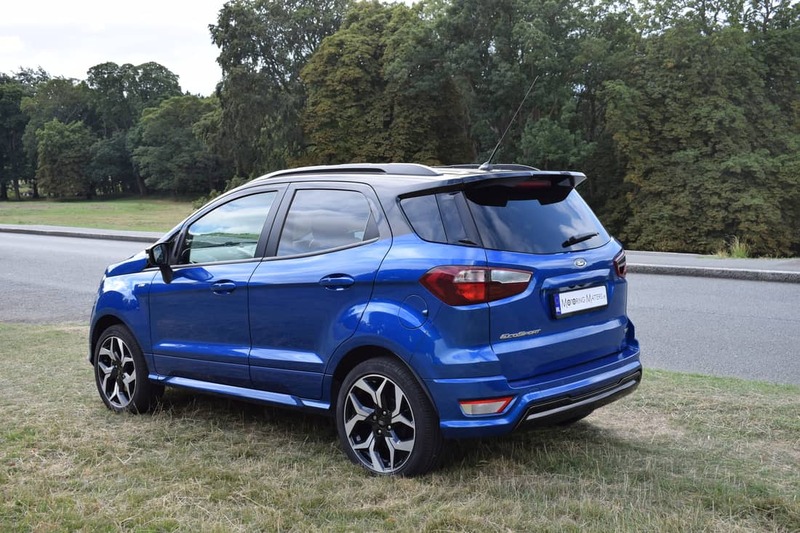 The original Ford EcoSport was launched in Ireland in 2014 as a small SUV designed to capitalise on the booming demand for small Sport Utility Vehicles throughout Europe. Now, four years later, rivals to the new EcoSport include the Mazda CX-3, Hyundai Kona, Renault Captur, Seat Arona, Nissan Juke and Opel Mokka X. Two trim levels are offered in the new EcoSport – Titanium and ST-Line, while engine options consist of an EcoBoost 1.0-litre, 3-cylinder turbocharged petrol unit or a 1.5-litre TDCi turbo-diesel, featuring 4-cylinders. A six-speed manual gearbox is standard with both engines, while a six-speed automatic is only available in petrol guise. Ford’s innovative 1.0-litre EcoBoost petrol engine is a six-times winner of the International Engine of the Year award. With 125bhp and 170Nm of torque, you get all the power of a conventional 1.6-litre engine, with outstanding fuel economy and low CO2 emissions – leading to annual road tax of just €200. Standard EcoSport Titanium specification includes air-conditioning, cruise control with speed limiter, rear camera, rear parking sensors, keyless start, auto lights & wipers, ambient lighting, electric windows front & rear, partial leather seating, SYNC 3 (with 8” touchscreen, DAB Radio, emergency assistance, Apple CarPlay, Android Auto, 2 x USB slots and 6 speakers), LED daytime running lights, roof rails and front fog lights. Step up to the sporty ST-Line specification and you will also benefit from 17” ‘Dark Tarnish’ alloy wheels, full body-styling kit, rear spoiler, contrast coloured roof & mirror caps, ST-Line wing badges, sports tuned suspension, partial leather & suede seat trim with red stitching, ST-Line multi-function & flat bottomed leather steering wheel with red stitching, ST-Line scuff plates and sports pedals for a real sense of occasion. My test car was a new Ford EcoSport ST-Line EcoBoost (1.0-litre turbo petrol) finished in Blue Lightening metallic paint with contrasting black roof and mirror caps for maximum visual impact. 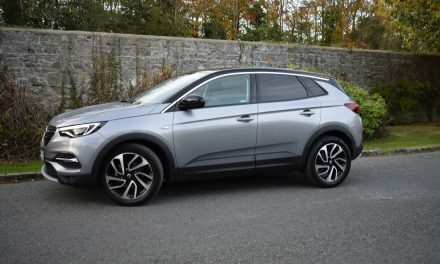 Optional extras fitted to the test car included 18” black alloy wheels, rear privacy glass, front parking sensors, HID (High Intensity Discharge) headlights, heated front seats & steering wheel, and a Bang & Oulfsen premium sound system with 10 speakers for a 360-degree sound experience. Ford’s multi award-winning petrol engine is capable of achieving fuel consumption as low as 5.3l/100km (53.3mpg), while completing the 0-100km/h sprint in just 11.1-seconds on the way to a top speed of 177km/h (where permitted). 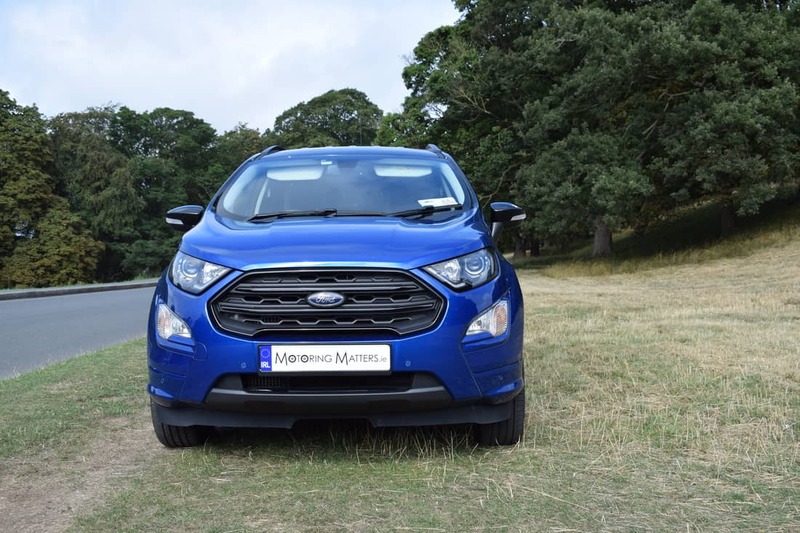 On the road, the new EcoSport performed with excellent composure and agility. 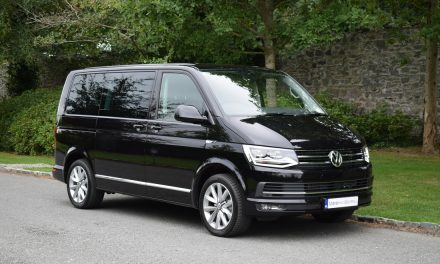 Front-wheel drive is standard on all models, with the front tyres providing plenty of grip during acceleration, thereby leading to unrivalled handling prowess. Thanks to relatively stiff suspension, body roll through bends is minimal, while the cars direct steering is confidence inspiring. Overall, the new EcoSport is actually one of the best handling small SUV’s currently on the market. 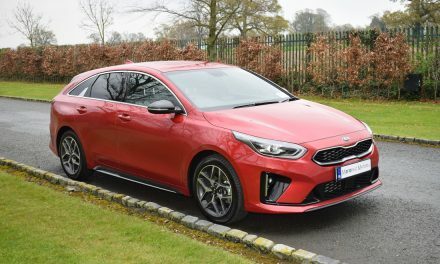 The manual gearbox in my test car offered precise and pleasant gear changing ability, and added to the general ease of drivability of the car. 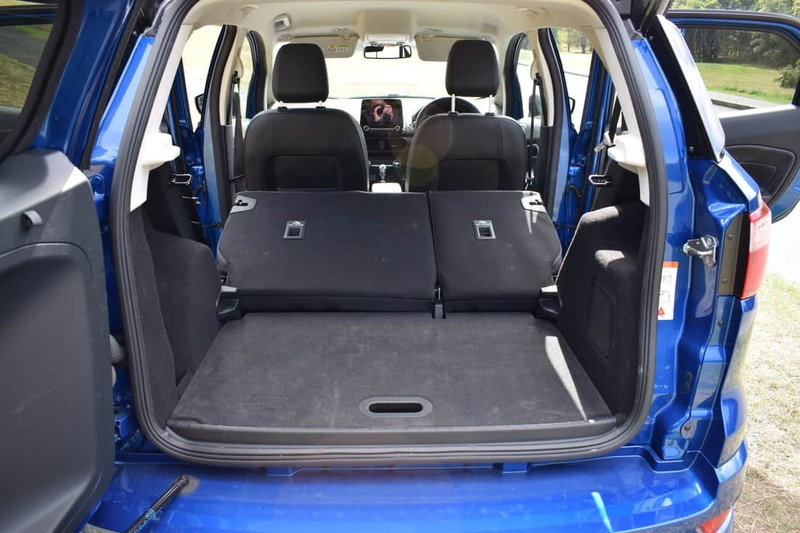 The original Ford EcoSport was tested by EuroNCAP in late 2013 and achieved a four-star rating, with an excellent adult occupant score of 93 percent. Ford engineers claim that the new model should be even better thanks to the use of more high-strength steel in its construction and it also comes with more electronic safety technology. The new EcoSport has what Ford calls ‘Roll Stability Control’ which adjusts engine torque and braking to help drivers maintain control. It also has a new driver’s knee airbag, new side airbags with improved chest protection and a larger coverage area. Styling is also mostly new – Ford’s attention has been concentrated on redesigning the front end of the EcoSport. The rear is for the most part unchanged, but slight detail tweaks and personalization options help set it apart from the previous model. 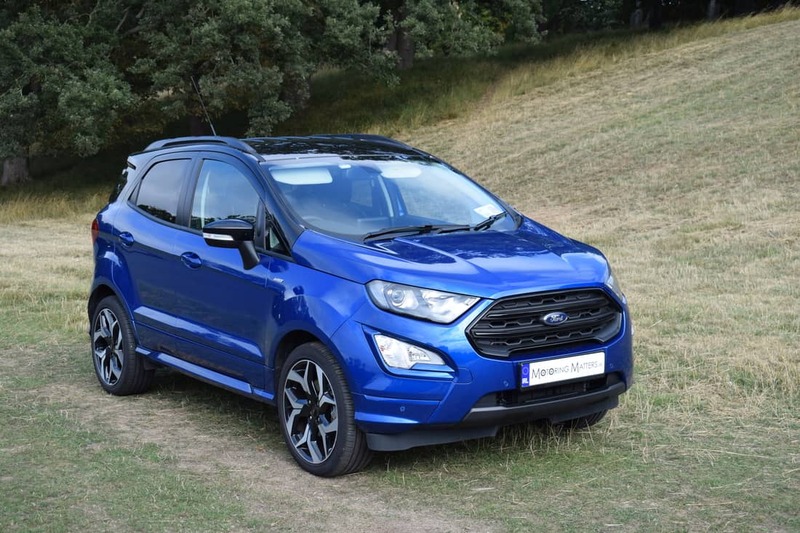 As a result of these changes to the EcoSport, the new model is now clearly a proud family member of Ford’s revitalized passenger car range. 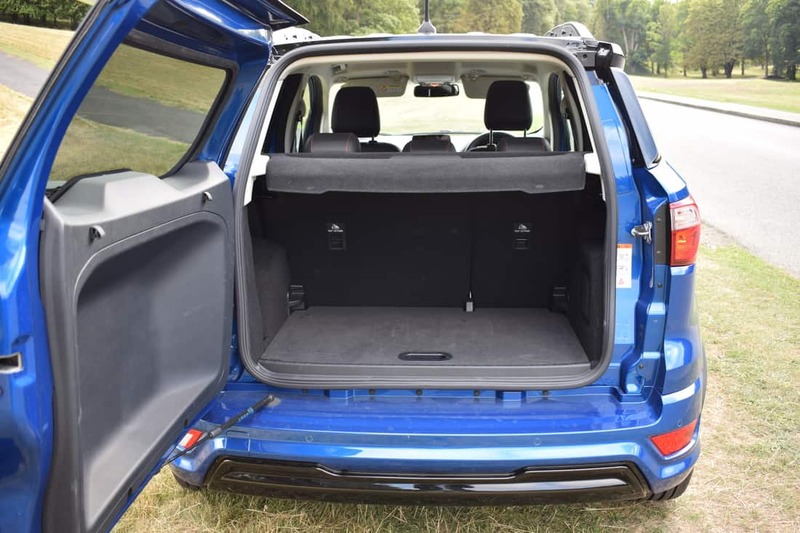 Interior packaging in the new EcoSport is impressive for a car measuring just over 4 metres in length. Boot space stands at 356-litres with the new adjustable boot floor in its lowest position and the rear seats in place. However, drop the rear seats and this space increases to a substantial 1,238-litres. 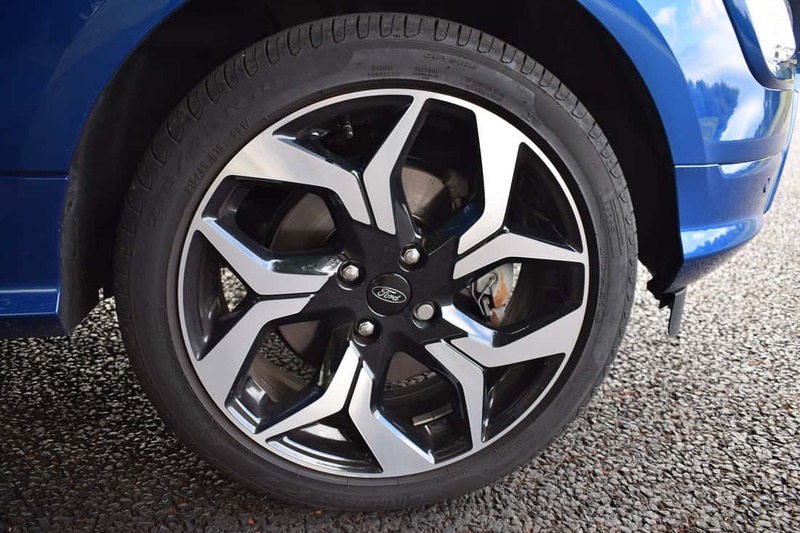 Available in a choice of 10 colours, the new EcoSport mini-SUV is priced from just €26,900 (ex-works) in Titanium trim, with the ST-Line priced from €28,180 (ex-works). 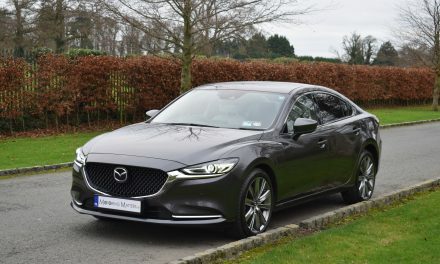 With the optional extras fitted to my test car, it came with a price tag of €31,070 (ex-works). 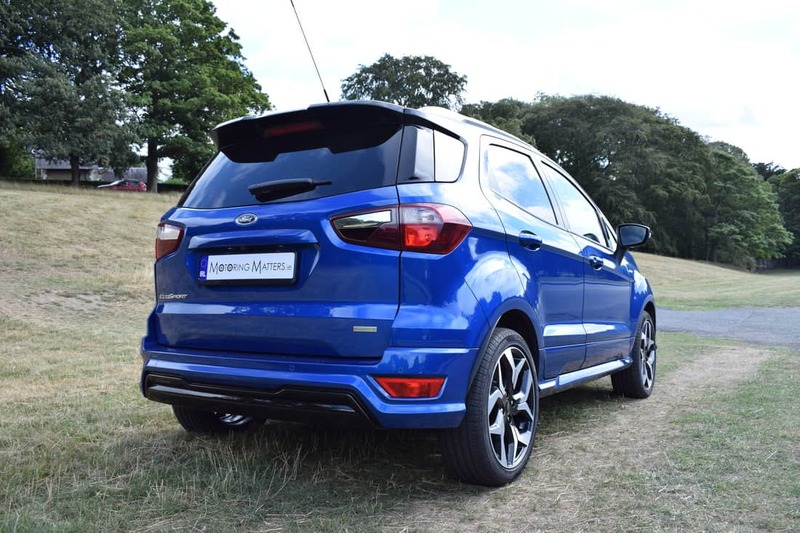 The new EcoSport is a truly impressive offering from Ford.